I’m lucky, I’ve always been good at maths and science. Or rather, I’ve always enjoyed them and I think that has led me to be good at them. We normally excel at the things that we love and are happy to put in extra time for right? 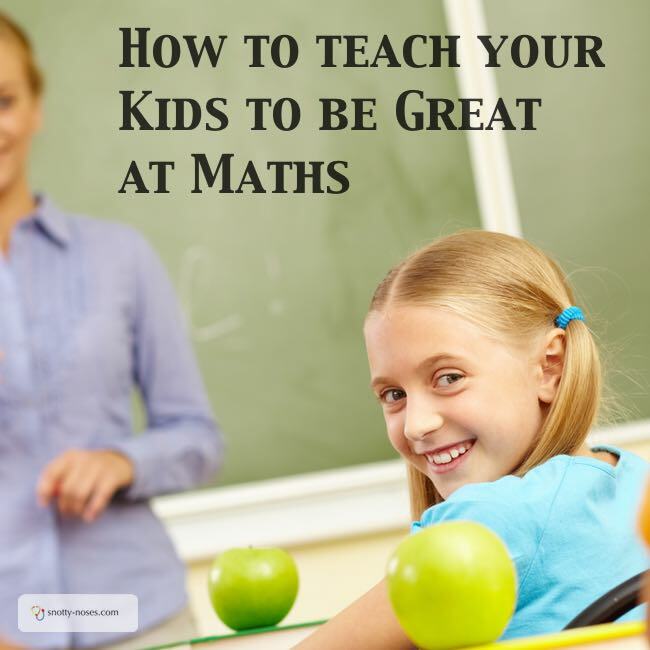 So how can you as parents help your kids to love maths? It’s actually not that difficult, there's just a teeny, tiny secret. You just have to make maths fun. I know that sounds tricky, but it’s really not. Once your kids find it fun, they’ll start enjoying it and know that they’re good at it. And that’s the little secret. I remember when I was a child. My dad had to go on a business trip. A few hours there and a few hours back. He took me along for the ride. I was 7 at the time. My dad has always loved maths and that was how we bonded. He taught me that maths is easy and he taught me how to love maths. I remember that day, we spent long, dull car ride doing maths questions. He’d ask me questions and I’d answer. Gradually the questions would get more and more difficult. If I didn’t know how to approach it, he’d break it down for me until it was simple. Now I’m a mother and a doctor and I still love maths. I love teaching my children about numbers. I don’t do anything particularly special. I just ask them number related questions every now and then. They love doing maths activity books. Not all the time, but when the mood takes them. We work our way through the books, mostly for fun and to get a gold sticker at the end. When given a choice of ‘writing’ or ‘maths’ the older boys will both choose maths because that’s what they enjoy and find easy. 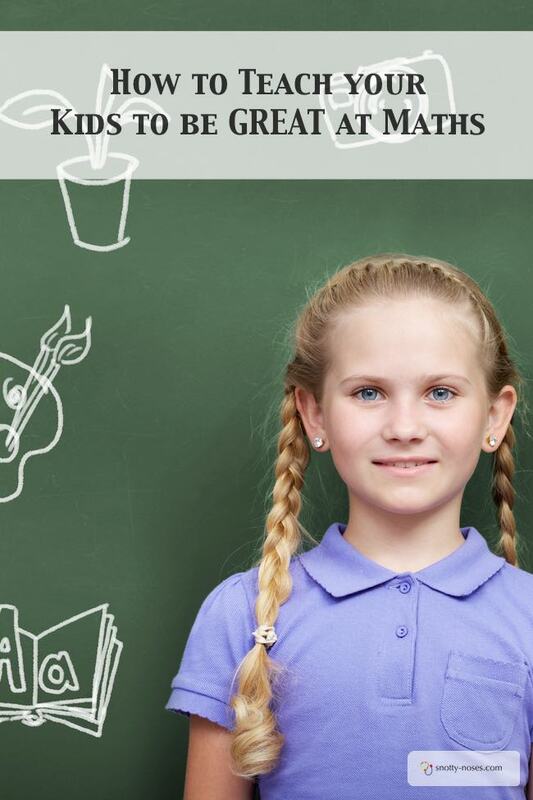 Some simple ways to bring maths-love to your kids. Waiting time. You know that time when your child is shouting at you to come right now, they need something super urgent? Except, you’re up to your elbows in a nappy, or half way through chopping an onion. You tell them to wait and they just holler more loudly? I give them a maths task, “count to 3o in 3s and I’ll be right there…” Works a charm. But actually, it's true. These small little sums that are repeated through out the day add up to having the confidence that you are good at maths. I don’t pressure them, we don’t do it every day, we just do it from time to time when the opportunity arises. I can see that my kids are ahead of the class. Whilst the other children are doing after school classes to learn to count to 100, mine already understand the concept of multiplication and know most of their times tables. So when they get around to doing times tables at school, they already know them. And of course, that makes them top of the class. Actually, they aren't super clever, they've just already done the work and that gives them a huge confidence boost. Now I can see that my children also have a love of maths. They know that they are good at it and that means that they love it. It also means that when they are older, they will have far more choices when it comes to deciding what they want to do. There are loads of great books and toys that you can get to help make maths fun. I’ve just linked to a few of our favourites, that my kids love. Just pick some for your child’s ability.